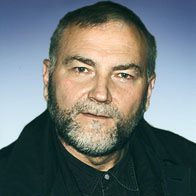 Leonid Ivanovich Vasilenko (31 of May 1946 — 16 of July 2008, Moscow), well-known scholar in Russian religious philosophy and the philosophy of religion, was a doctor of philosophy, associate professor of the philosophy department within the school of theology at the Saint Tikhon’s Orthodox Humanitarian University (PSTGU). He is the author of the books: “The Introduction to Russian Religious Philosophy”, “The Introduction to the Philosophy of Religion”, “Short Religious-Philosophical Dictionary”, and also numerous articles in the field’s religious philosophy, theology, ecology and culture. The son of a common worker, Leonid Vasilenko was born in Oktyabr´skaya stanitsa, Pavlovski district, Krasnodarski region of Soviet Union (now Russia). He graduated from the Moscow Physical and Technical Institute (Dolgoprudny town, Moscow region) in 1970. Then for two years worked as an engineer/physicist at the Joint Institute for Nuclear Research (Dubna, Moscow region). From 1972 to 1975 Leonid was a post-graduate student at the Institute of Philosophy of the Russian Academy of Sciences (RAN), Moscow, specializing in the philosophy of natural sciences. He completed his dissertation: “The Methodological Aspects of the Synthesis of Ecological Knowledge” in 1977. In 1975 he worked in the informational scientific section of the Russian State Library (Lenin State Library). From 1976 to 1990 Leonid Vasilenko did research at the Institute of Philosophy of the Russian Academy of Sciences (RAN) and from 1990 to 1994 was working as senior researcher at the Institute of Scientific Information for Social Sciences (RAN), in Moscow. From 1989 to 1993 Leonid Ivanovich taught philosophy at the Moscow Spiritual Academy and Seminary in Sergiev Posad. From 1994 to the end of his life he was senior instructor at the department of history of foreign culture, and later at the philosophy department at the PSTGU, teaching courses: “History of Russian Religious Philosophy”, “Philosophy of Religion”, “Philosophy of Hermeneutics”, “Philosophical Anthropology” and “Foundation of Theology”). Vasilenko had been working at the PSTGU (formerly PSTBI) from it’s inception. He was a leading teacher, author of monographs and mentor. Leonid Ivanovich was an active researcher, as well as a graduate and post-graduate students’ instructor. Beginning in 1990 Leonid Vasilenko was teaching from time to time philosophical courses at spiritual educational institutes of different Christian confessions: Orthodox, Catholic and Protestant /more detailed — at Russian part of Biography in this site/ (Various courses: Philosophy, Philosophy of Religion, World Religions, Christian Ethics, Cults, Russian Orthodox Church). Leonid Ivanovich was author and broadcast host for the topic “The Issues of Christian Ethics” on the radio “Maria” as a part of the programs: “The Witnesses of Belief”, “Russian Religious Philosophers” and “The Foundation of Belief”. He was also one of the radio hosts for the radio “Sofia” during the first years of that radio station. “Theos” radio station had Leonid Vasilenko in the program “Sobesednick”. The interview with Vasilenko (“Russian Philosophy Concerning Human Rights and Self-Esteem”) can be heard on the page “Broadcasts” of this website. Leonid Vasilenko was the editing committee member of the journals: “The Truth and the Life” and “Parish News”.